The engineering team at Polamer Precision is a dedicated group of experienced professionals. The culture of innovation and continuous improvement runs deep throughout the entire engineering department. Our vision of pushing manufacturing technologies and processes to their limits is the observed mantra. 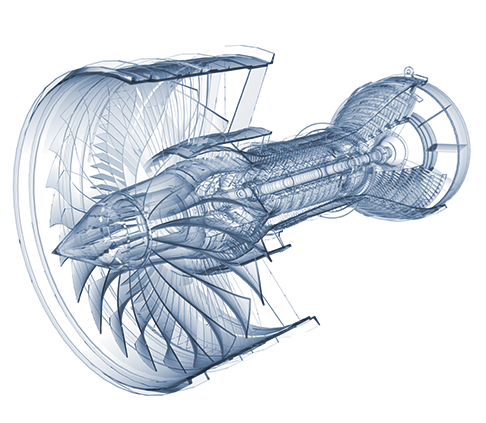 Polamer Precision's engineers have experience exclusively in aerospace engineering. The ownership is taken at the part level / engineers own the part family from raw material through delivery. Parts are categorized into part families where similarities become advantages during the manufacturing process. Our engineering team often co-engineers components with other prime manufacturers. Manufacturing processes are continually improved through feedback and data passed on to the engineering team. We are continually working together on parts to increase the robustness of the process based on metrics. Every component undergoes multiple phases of development. Iteration process, preproduction status, and the production phase. The post-production phase involves ongoing improvements for better competitiveness over time. A part family-based approach lends to more efficiency and ability to scale through optimization ensuring delivery and repeatability. In some cases, proprietary tooling is specifically created for particular manufacturing processes unique to individual parts. All of these efficiencies, processes and innovations have led to incredible volume and highest-in-the-industry material removal rates. Emerging technologies are applied to subsequent rounds of production to increase the life of the part and drive down manufacturing costs for better competitiveness. The manufacturability of the parts improves over time thanks to innovation and ingenuity. Bearing housings on the NEO engine are a great example as that particular component has undergone 13 versions of development and is on its 4th round of production. Our engineering teams are focused on the components from receipt of the PO throughout the manufacturing process to the delivery. The latest industry standard software is consistently being deployed and engineers are rigorously trained on emerging software. Empowering future generations of engineers is also a key mission of Polamer Precision's engineering team. Aerospace isn't just about numbers; we aim for the next generation of STEM students to share our vision. Our headquarters is purposely located adjacent to key learning centers. We've partnered with global leaders Stanley Blaack & Decker and UTC for community outreach to younger kids in different programs such as robotics and other STEM programs.